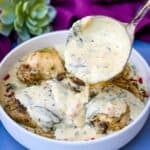 Instant Pot Keto Low-Carb Creamy Garlic Tuscan Chicken Thighs with is a quick and easy healthy, pressure cooker recipe that can be made using fresh or frozen bone-in or boneless chicken thighs. This post outlines the perfect cooking time and how long to cook chicken thighs in the Instant Pot. Pair these with your favorite veggies! Ok, Instant Pot Tuscan Chicken thighs, let’s go! I have been in the kitchen again experimenting with my Instant Pot. 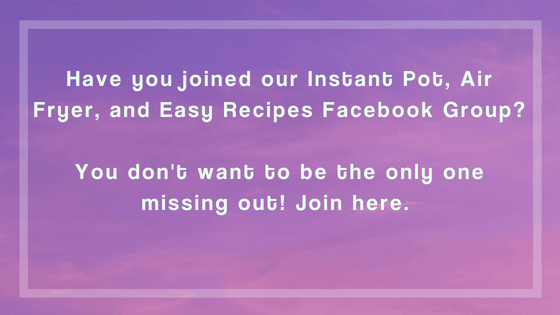 I often prepare recipes using chicken breasts with my Instant Pot. I decided to switch it up some and use chicken thighs. Chicken thighs can be a little more juicy, which is a major win! 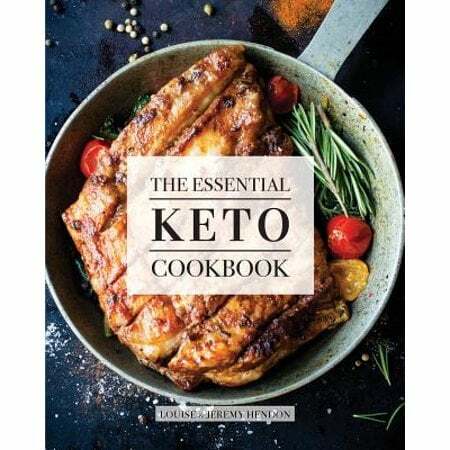 If you are looking for more Keto Instant Pot recipes, check out my Keto Instant Pot Broccoli Cheddar Soup, Keto Instant Pot Buffalo Chicken Lettuce Wraps, and Keto Chicken Zoodle Soup. How Long Do I Pressure Cook Chicken Thighs in the Instant Pot? How long does it take to cook chicken thighs in the Instant Pot? I pressure cook for 14 minutes. This produces tender, juicy chicken thighs. 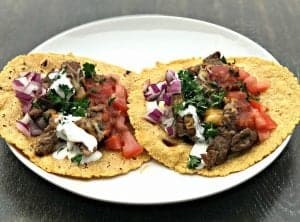 Can I Put Frozen Chicken in the Instant Pot? Yes. You can use frozen chicken. Follow the same instructions outlined. Your Instant Pot should take longer to come to pressure. How Long Do You Cook Frozen Chicken in the Instant Pot? For chicken thighs, you will set the Instant Pot for 14 minutes. It will take longer to come to pressure. How Long Should Chicken Thighs Cook in the CrockPot? I like to cook them for 4 hours on High or 8 hours on Low. Do You Use Boneless or Bone-In Chicken Thighs in the Instant Pot? I used bone-in thighs. Both will work for this recipe. This recipe is loaded with flavor. I love to add reduced-fat cream cheese to dishes that have a cream sauce. The cream cheese yields amazing results. The Better Than Bouillon Chicken flavor used in the recipe goes a really long way, as well. Purchase it here from Amazon. 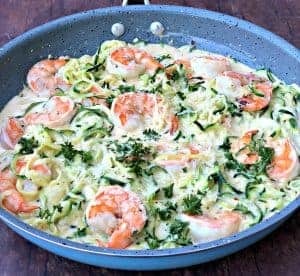 This dish is great for a quick weeknight dinner or for advanced meal prep. My favorite side dish pairings for this recipe are brown rice or quinoa for carbohydrates. Any steamed veggies will work well. Broccoli and green beans are my favorite If you are really strapped for time, I am in love with the steamable options at Costco. Like I mentioned above, chicken thighs are JUICY! 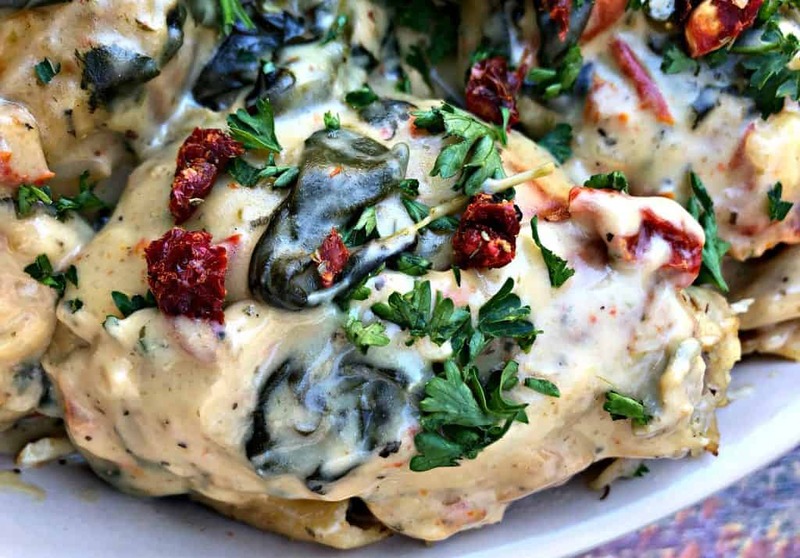 This cream sauce is so decadent and filled with flavor because it is prepared using the natural juices produced by the chicken….in addition to a few other amazing ingredients. I am in love with my Instant Pot. I feel like I rarely use my oven anymore! 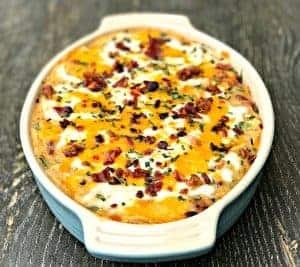 You may also enjoy my Keto Bacon, Egg, and Cheese Breakfast Casserole, Keto Bacon Cheeseburger Casserole and Philly Cheesesteak Casserole recipes. Here is the kicker, you will receive FREE bacon with every Butcher Box delivery. Yup, that’s right, get FREE bacon, $10 off, and free shipping for all of 2018 when you order your first ButcherBox today! Click here to sign up and get hormone free meat delivered right to your doorstep! 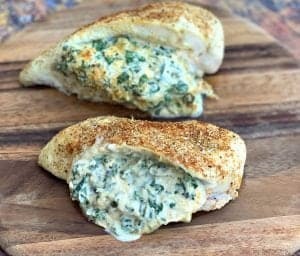 I love the idea of using thighs, however, I happen to have 6 chicken breast that I need to cook and would like to use them in this recipe. Do I still pressure cook the breasts for 14 minutes or do I need to adjust the time? Thanks. I do 10 minutes of pressure cooking followed by 10 minutes of natural release for chicken breasts. This looks so good. 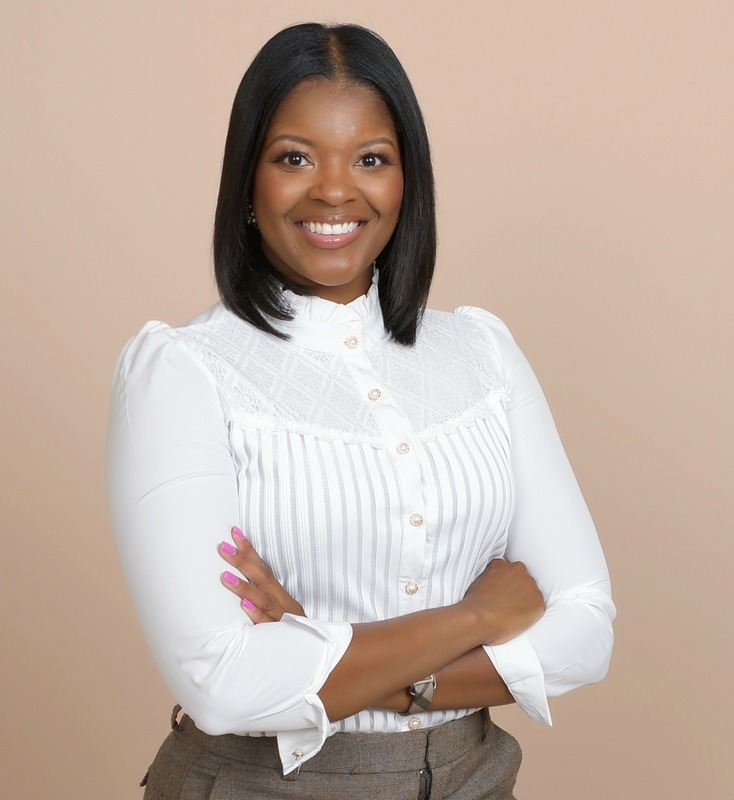 Can i use arrowroot instead of cornstarch? I’ve heard great things about it, but I haven’t tried it myself. I’m sure you can.